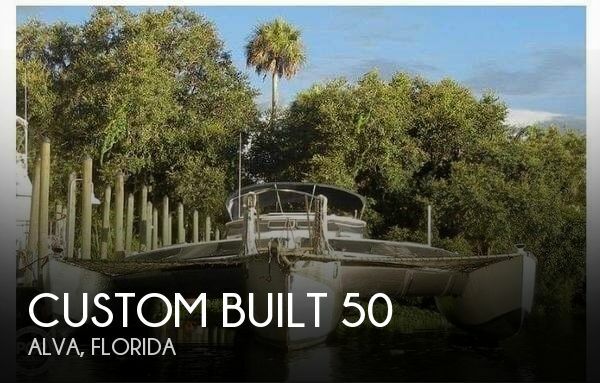 Seller remarks that this 1982 50' Custom Built Trimaran needs the expected TLC that new owners would like to do as personal preferences. The boat needs cleaning, exterior and interior. The boat needs re-masting and rigging. The head needs repair or replaced. There is no generator but room for it. Stock #173601 Great condition custom built trimaran! Plenty of storage space! Ready to come aboard today! If you are in the market for a trimaran, look no further than this 1982 Custom Built 50, priced right at $72,300 (offers encouraged). 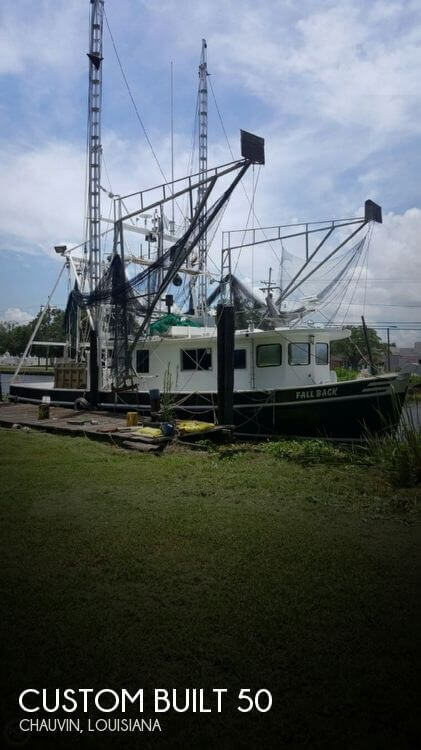 This vessel is located in Alva, Florida and is in need of some work. She is also equipped with twin Honda engines. Reason for selling is no time. 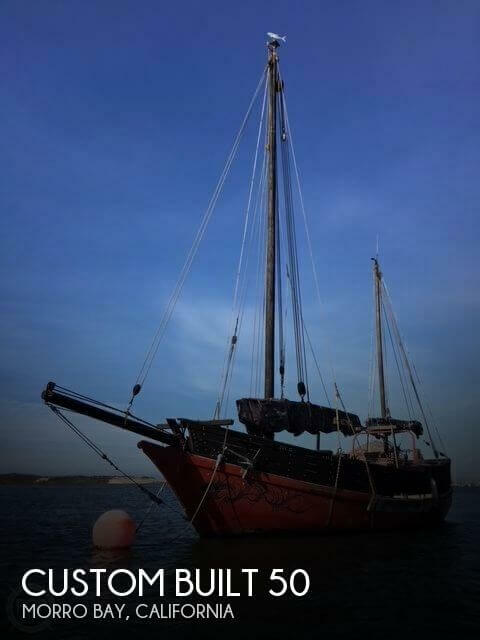 Per the seller: "She needs cosmetic TLC but is super sturdy and sea-worthy. Without a doubt totally one-of-a-kind vessel. Engine info: Per the seller - "The engine does turn-over fine, but we're having trouble getting her to start. Just haven't had the time to look at it yet. I suspect it's the plugs or fuel injector." The ship is completely unique, hand-built replica of The Spray, famously first single-handed circumnavigation of the globe by Joshua Slocum in 1895-1898. Much love and energy poured into her over the years. Rigging lines will need to be replaced; the engine needs repair. 40K estimated If finished she'd likely bring in 100k+. Upwards of 150k. $90,000 into her and between my partner and I. Thousands of man hours to build her. Its hard to let her go but its best to keep moving forward in life. And be thankful for the experience of learning and creating. As for survey reports, I don't have any on file although she was inspected and passed by Morro Bay Harbor Patrol/Coast Guard to receive a live aboard permit two years ago." She has last hauled out about five years ago so she will need a good bottom cleaning. All through hull valves and fittings were replaced at this time as well as shaft replaced. And bottom painted. NOTE From seller on boat's history --- "The Brier Island was built by hand finished in the year 1976 by Bob White out of Los Osos California. The Hull is built of steam bent Oak ribs wrapped in 1 1/2" Old growth Douglas fir I believe. She has a full keel about 6" thick that I believe is fir as well. The rudder fallows the keel back perhaps 3 x 4 ft with the tiller above deck made of Steele. All the hull fittings were of hot dipped galvanized Steele which so far as I've seen have held up rather well. The entire hull was wrapped in fiberglass at some point. The deck is 3/4" ply covered by 3/4" fir strips wrapped in fiberglass. The fore mast is Doug fir while the aft mast is port Orford cedar. The sail material is canvas sealed with deck stain. I acquired the Island in 2008 where apparently she had been sitting for twenty years. The hull was empty except for the engine and a cot. I rebuilt the cabins a a section of deck that had some rot and with a friend from the San Francisco Maritime Museum, Steve Conklin, devised and hand made all the rigging and mast. And hand shaped and stitched the sails. Replaced the bulwarks with Steele stanchions and Doug fir rails. And fit the bowsprit with a pivoting bolt. We constructed a cage behind the aft cabin to fit the sheet to secured to the frame. I built simple quarters below deck with a bed and small office in the bow and a small galley with about 5'10" of head room. A sink and Coleman stove with cupboards below. Room to seat four at the table with another bunk behind the table. Midship is a port where the fish hold was at one time. Now there sits two fifty gallon tanks with racor filters and two storage lockers. The aft cabin is lined with seating/ storage with two bunks behind-and under the deck. A small bucket bathroom and battery locker for the solar panels are in there as well. The Perkins diesel sits to the rear with a hydraulic transmission that runs the prop. It can be setup to run the windlass as well. Behind the engine are two storage compartments/ engine room. There are two bilge pumps and a CB radio in the cabin and a depth sounder above deck at the helm" Stock #144644 Very Unique ONE-of-a-kind, hand-built replica of the "Spray" famously first singlehandled circumanvigation of the globe by Joshua Slocum in 1895-1898. If you are in the market for a yawl, look no further than this 1976 Custom Built 50 BRIER ISLAND, priced right at $44,500 (offers encouraged). This vessel is located in Morro Bay, California and is in decent condition. She is also equipped with a Perkins engine.